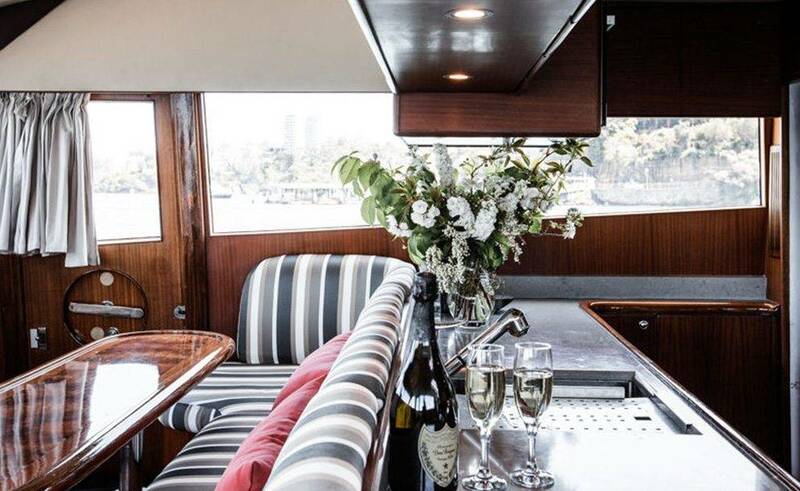 She may be called Enigma, but there’s nothing puzzling about the popularity of this fabulous 64ft Pama flybridge luxury cruiser. It would be a mystery if people weren’t impressed with her, read on and you’ll see what we mean. She doesn’t just have a sound system, she has a THX MP3/CD compatible full surround sound multi-room music system with sub-woofer state of the art. She doesn’t just have a TV, she has four retractable 42-inch Plasma LCD flatscreen TVs with CD/DVD and Foxtel. 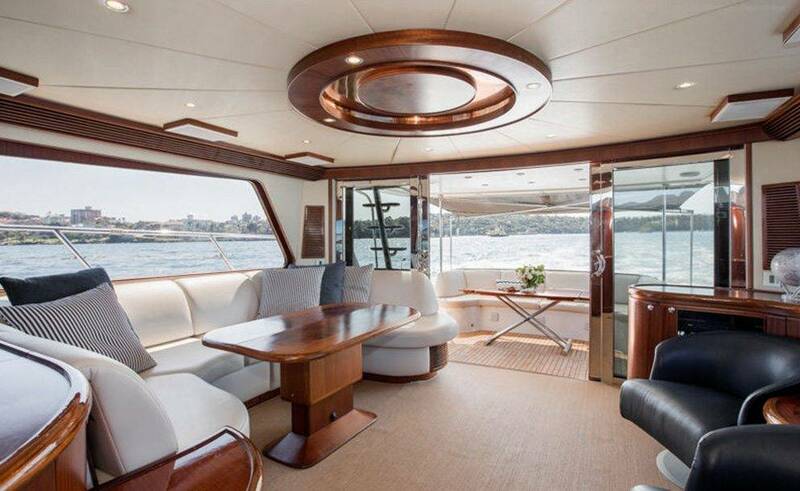 All boats have windows, but she has huge unmullioned windows which bathe the interior in light and give unrestricted views. 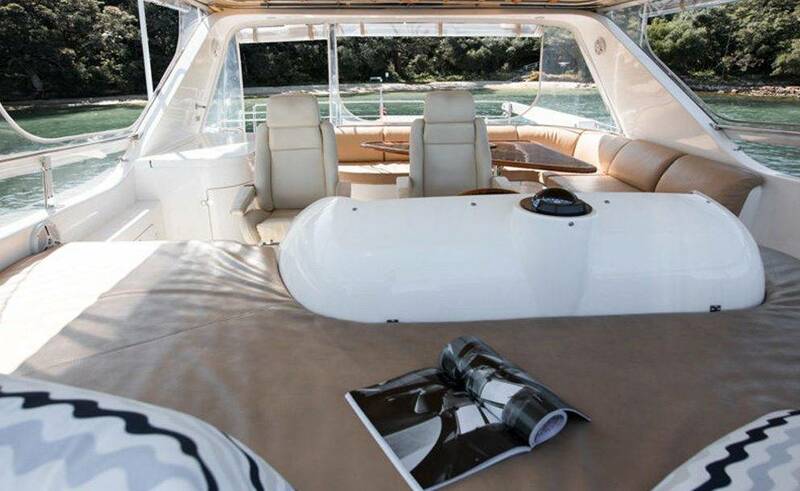 All boats are built to be stable, but she has a built-in Wesmar motion stabilizer system to ensure a smooth ride. We’re sure you get the picture – she has been beautifully styled and fitted to the highest standard. With no expense spared to ensure you feel truly pampered and have an amazing time onboard. Enigma can accommodate up to 33 guests for a cocktail party, 25 for a casual buffet and 15 for seated dining. 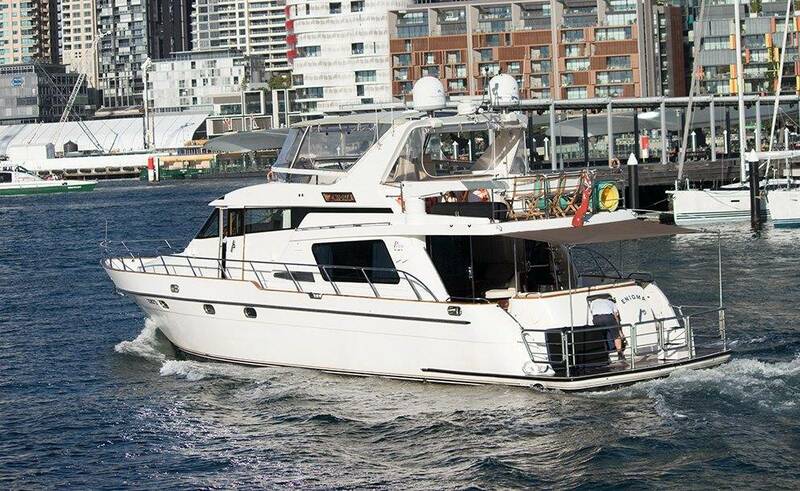 Also, her impressive main deck with its spacious rear cockpit and sun lounge can be accessed via sliding sun doors from the fully air-conditioned interior saloon. So, take the stairs to the enclosed bridge. 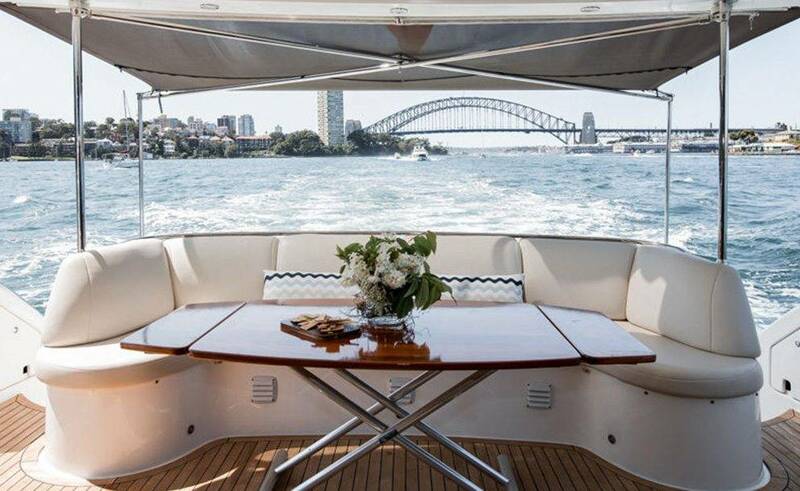 The perfect place for enjoying a drink or two while taking in the views. Also, below decks are the three sumptuous cabins. The master bedroom has a kingsize bed, ensuite bathroom and walk-in wardrobe. So you and your party will be supremely comfortable. There’s a swim platform giving easy access for a swim, and an aqua lilypad. 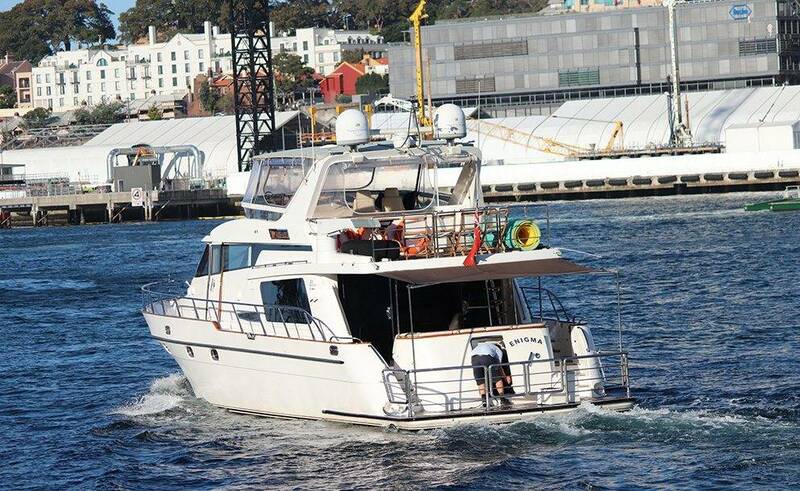 So you can really make the most of your time on the water. So, contact us today about Enigma. It’ll be an experience you’ll daydream about for years to come.